We’d love your help. 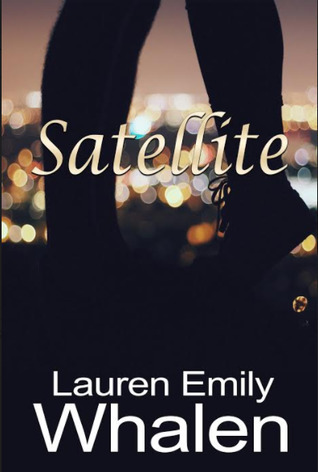 Let us know what’s wrong with this preview of Satellite by Lauren Emily Whalen. To ask other readers questions about Satellite, please sign up. Best friends is too mild a word to describe Levon and Harmony, two Chicago teenagers whose fathers are in love. They’ve been friends since childhood, but there’s always been something more there, both in terms of sibling love and potentially romantic love. Their relationship delicately toes the line between strength and dysfunction. Everything changes when Harmony’s dad leaves Levon’s dad and takes Harmony to Los Angeles with him. Levon copes by losing himself in ballet, while Harmony discovers Best friends is too mild a word to describe Levon and Harmony, two Chicago teenagers whose fathers are in love. They’ve been friends since childhood, but there’s always been something more there, both in terms of sibling love and potentially romantic love. Their relationship delicately toes the line between strength and dysfunction. Everything changes when Harmony’s dad leaves Levon’s dad and takes Harmony to Los Angeles with him. Levon copes by losing himself in ballet, while Harmony discovers a surprising new crush. The distance is hard enough for these two, but when a hidden family secret is discovered, they need to figure things out before losing each other forever. There is a lot to love about this debut novel; The setting of Chicago’s Boystown neighborhood is vibrant and cool, the characters are written with depth and empathy, even when their actions make them hard to empathize with, and the adults in the story are as well-rounded as the two teenagers. The plot is driven by characters, not situations. All of this makes Satellite a well-written young adult novel that is smart and thought-provoking with a lot of emotional resonance about what defines a family. It's always great to read a book by a friend and say, "I know her!". I'm lucky enough to have been friends with Lauren Whalen for a number of years and have watched her journey to published author (and was lucky enough to test read Satellite many years ago, when it was a rough version of the awesome novel it is now!). I'm so glad to be able to leave this review as the first novel I've finished in 2018. As an avid reader, lover of the Nutcracker and any/all classic rock, obviously I'm on the same It's always great to read a book by a friend and say, "I know her!". I'm lucky enough to have been friends with Lauren Whalen for a number of years and have watched her journey to published author (and was lucky enough to test read Satellite many years ago, when it was a rough version of the awesome novel it is now!). I'm so glad to be able to leave this review as the first novel I've finished in 2018. As an avid reader, lover of the Nutcracker and any/all classic rock, obviously I'm on the same wavelength as Harmony and Levon (plus my Dad's a former radio deejay). I like that both of them are *real* teenagers. Flawed and selfish and impulsive and petulant and neither of them know what they want. Both in love with each other, but jealous of each other too, and resentful of family dynamics outside of their control. There are secrets and lies, and all those messy things that bubble up when you're a teenager that seem like they'll kill you. This is a book about the growing pains we all go through, the first loves, the realization that your soulmate at those tender, impressionable years may not be your soul mate forever. The knowledge that you can have the most bittersweet, amazing memories of a person and still have to let them go. This is a sweet little book that definitely breaks the mold in terms of YA - it doesn't shy away from sexual encounters, and I liked that because so much YA just uses a cut away scene or pretends teens aren't sexual. Newsflash: they are. And it's often messy and complicated and fraught as hell. It's also a diverse book, not relying on tropes or cliches about the LGBT community. It's geeky and fun, but at turns poignant and sad. The messiness of love is at the core of Lauren Emily Whalen's first novel, "Satellite," a YA story about coming of age, coming into love, and both letting go of and discovering one's own identity. The first thing you'll likely notice within "Satellite" is Whalen's gift for natural dialogue, a gift that will deepen your immersion into the story and into the lives of longtime best friends Levon and Harmony whose dads have been in love for years and whose uncommonly rich relationship weaves togethe The messiness of love is at the core of Lauren Emily Whalen's first novel, "Satellite," a YA story about coming of age, coming into love, and both letting go of and discovering one's own identity. The first thing you'll likely notice within "Satellite" is Whalen's gift for natural dialogue, a gift that will deepen your immersion into the story and into the lives of longtime best friends Levon and Harmony whose dads have been in love for years and whose uncommonly rich relationship weaves together elements of sibling closeness, flirtatious intimacy, and awesome best friends. For those familiar with the Chicago area, you'll appreciate the ways in which Whalen brings Chicago to life through a relaxed familiarity with everything that makes Chicago actually Chicago. As someone who has never been particularly fond of the city thanks to a painful relationship that went awry, "Satellite" made me remember everything I loved about the area. "Satellite" enters a world that I'm guessing is going to feel familiar for young adults - one filled with the messiness of family relationships, the uncertainty around dating and sexuality, and the struggle with not allowing our past to determine our future. Sometimes, when I'm reading I find myself practically reading through a book. Other times, I find myself taking a more gentle pace and really enjoying the characters. With "Satellite," I really enjoyed spending time with these characters and all their glorious flaws, insecurities, and little victories. "Satellite" is probably best suited to a more progressive young adult reader. While it's far from graphic, Whalen has a wonderful way of depicting sexuality and intimacy and openly features LGBTQ characters within "Satellite." The LGBTQ community is tremendously underserved in the YA literary world and Whalen's book is a wonderful reading choice for those young people exploring who they are and what it all means. "Satellite" is written from the perspectives of both of its main characters, while the occasional flashback is used to flesh out the entire story. It's an approach that doesn't always work, but the gifted Whalen makes it work beautifully.